Did you know that ER visits for dental emergencies have doubled since 2000? It is estimated that someone makes an emergency dental visit every 15 seconds. Even though this has become a common problem, many people still don’t know how to handle dental disaster. Keep reading to learn what to do after a dental emergency in Carrollton and whether or not you should go to the ER. 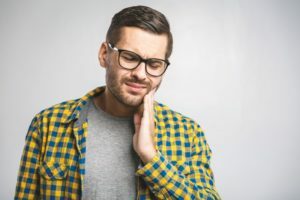 Dental emergencies that require a trip to the hospital include sudden trauma to the head or neck, severe swelling, persistent bleeding, sudden and severe pain, and difficulty breathing or swallowing. If you have any immune disorders or chronic illnesses, you should visit the ER right away to minimize your chances of further complications. If you have an abscess or infection, your symptoms will be the deciding factor on whether you should call the dentist or visit the ER. If you’re having trouble breathing, swallowing, or there’s a lot of swelling, you’ll want to get to the ER. Without those symptoms, you should call your dentist for treatment. How Can I Handle a Dental Emergency? If your tooth gets knocked out, pick it up by the crown (the top) to avoid damaging its roots. You should rinse it off and then keep it moist in water or milk until you can see your dentist. The sooner you visit your dentist, the higher the chance of your tooth being successfully replanted. You can also use a cold-compress to reduce any swelling. If you have a toothache, try flossing around the affected area. It may just be a pesky piece of food. If the pain persists more than a few days, contact your dentist. You may have an infection, abscess, or tooth decay. Lost fillings can cause pain and sensitivity because it exposes a cavity. You can use dental cement found at your local drugstore or even a piece of sugar-free gum to cover the area of decay. Once you make sure you’ve covered the cavity, visit your dentist to get your tooth protected permanently. With dental emergencies on the rise, it’s important that you know how to handle them. Your best bet is prevention. A good at-home oral healthcare routine combined with regular dental visits will keep your teeth healthy and decrease your likelihood of having a dental emergency. Dr. Rajiv Shekhadiya and Dr. Dhiren Ahir are a team of dentists who take pride in providing emergency dentistry to get patients out of pain fast. They believe in patient education, which is why they want you to know the best ways to handle dental emergencies. They currently practice at Celebration Family Dental, and they can be contacted through their website or by phone at (469) 892-6647 for any questions.